Synopsis (from the publisher): Rumspringa is the time when Amish teens are allowed to experience life without the rules. It's an exciting time of personal discovery and growth before committing to the church. 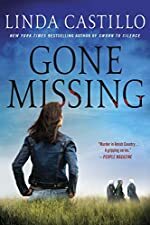 But when a young teen disappears without a trace, the carefree fun comes to an abrupt and sinister end, and fear spreads through the community like a contagion.